If you’re considering renting an RV for a vacation, you may not know where to start. Renting an RV is a little different than renting a regular car, and you need to find an RV rental company to do it. Here is what you need to do if you’re considering renting an RV for your next vacation. The first step is deciding if renting an RV is really right for your family. You also need to decide where you are going to go? If you rent an RV, are you going to have to drive to your destination, and how much time will that take? Also, you will need to decide what type of RV is right for you. Depending on your budget, you can go low-end or high-end, and the amenities of the RV reflect the price you pay. Depending on your budget, and RV can be a cost effective or high-end vacation. There are RVs to meet everyone’s needs, but a recent study found that a 13-day RV rental will average $2,000, which equals about $150 per day. That is on par with a mid-priced hotel room. Also, considering your RV can probably hold your entire family, you save on airfare and other costs. However, you usually have to pay for mileage with an RV, which is around $0.30 per mile, and you will also need to pay for fuel. With gas around $3.50 per gallon, that could add up to quite a bit of money. You also need to consider insurance, like simple caravan insurance, since your regular auto insurance may not cover you. What Are The Best RV Destinations? 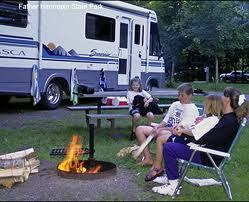 The best RV destinations are usually national and state parks. These places usually have great campgrounds with lots of things to do, and can accommodate an RV with all the amenities. State parks also have well maintained roads, which is good for driving an RV, especially if you’re a beginner.